But sadly, on this oh-so-perfect day, instead of climbing trees and conquering imaginary foes, I was curled up on my favorite blanket in the hallway by the bathroom. I’d caught the stomach flu and was feeling so yucky, all I could do was lie on the hard wood and wish for tomorrow. In between groans, a song lyric drifted to my ear from the little tape recorder beside me: “and life shatters all my dreams.” I got a little teary-eyed because my 8-year-old heart knew what that meant. My big dreams for the perfect Saturday had been dashed to pieces by a random, horrible germ, and I’d never encounter another day quite like this one (at least not for an eternity of school days). My hopes and dreams lay in tatters around me. You probably smile along with me at the drama queen that was Janna at age 8. Isn’t it interesting even as kids we understand truisms? It doesn’t take long to smash headlong into the reality that life has a way of crushing hopes and shattering dreams. Why does my hope feel a bit lifeless lately? How did that dream wither & die? What do I do with this part of real life that desperately needs new life breathed into it? I’ve asked these questions many different times in my life — as an 8 year old and a multitude of times after that. The best news in the world begins with the resurrection . . . but it never ends there. Prayer does have the power to bring things to life . . . because of The Person to whom we pray—the Giver of Life. t do not exist” (Romans 4:17). He did so with Jesus. And He does the same with the dry, crackly bits of our lives too. I hope we pause in gratefulness at the empty tomb. I hope we shed a happy tear that it’s empty on our behalf. I hope we shake our heads in wonder at forever and ever and ever eternal life. And I hope we smile at the grand reminder that God is still in the bringing-things-to-life business! His promise of more life continues far beyond an Easter celebration. 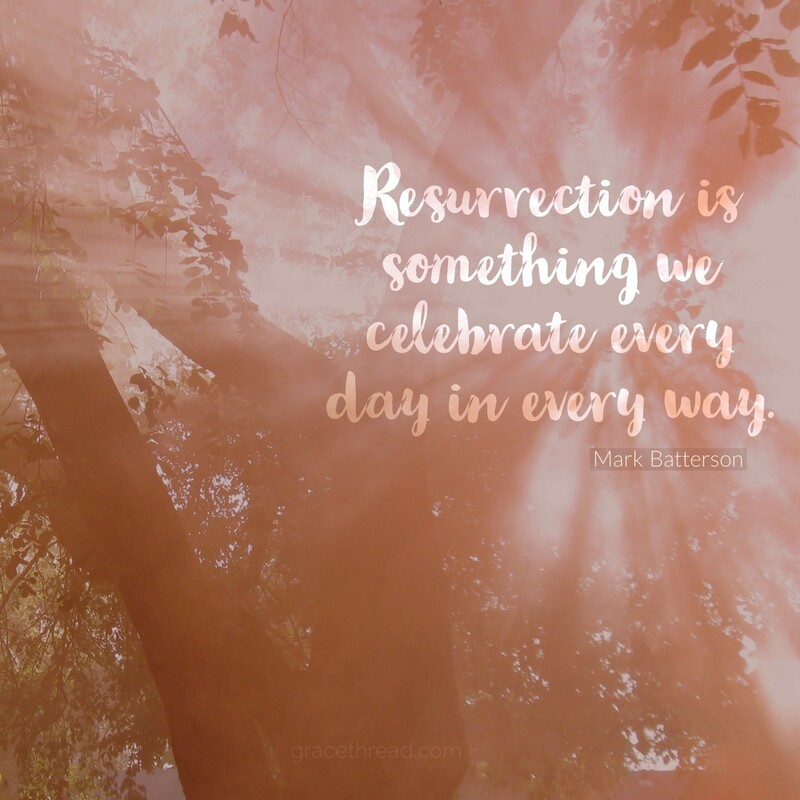 He longs for us to explore the truth of resurrection from April to August and beyond. 1) What dream do you wish Jesus would resurrect for you? 2) Where do you need to trust God’s power to bring something into existence now, not three or four Easters from now? 3) What promise do you need to praise God for fulfilling, even if your five senses haven’t seen the evidence just yet? Happy Resurrection Day LIFE to you!